On a new episode of the Metal & High Heels Podcast, Kiki and Steffi catch up, about Kiki’s recent, short-term move to her hometown of Quito, Ecuador. We then discuss the recently released albums by CELLAR DARLING, BATTLE BEAST, and FOREVER STILL. The episode also includes an interview with FOREVER STILL-singer Maja Shining, who talks about the young band’s second album “Breathe in Colors” and how it reflects on current events and even world politics. Podcast recorded on March 23rd, interview with Maja Shining recorded on February 24th, 2019. What’s your favorite March-release? Tell us in the comments! You can also send a short voice message to our Facebook page to have your voice played on the show! Or tweet at us: @metalhighheels! 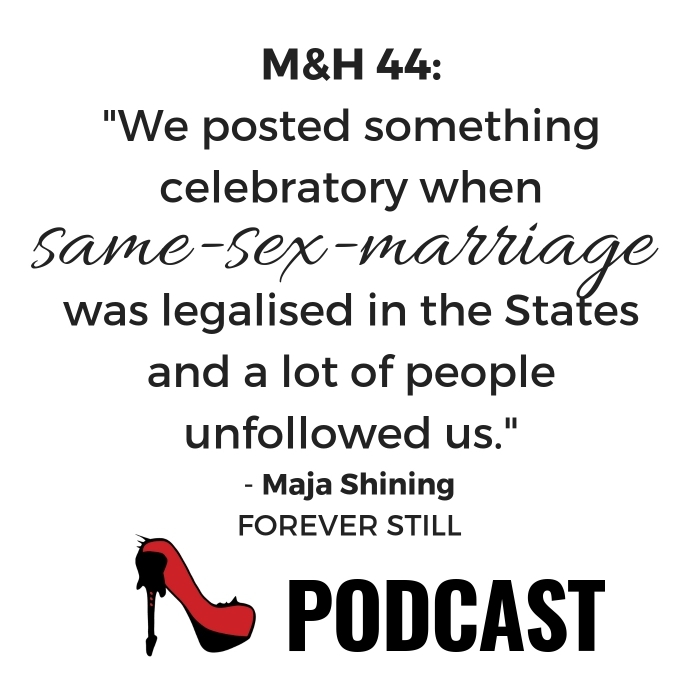 DSubscribe now to the Metal & High Heels Podcast on iTunes, or listen on Spotify.